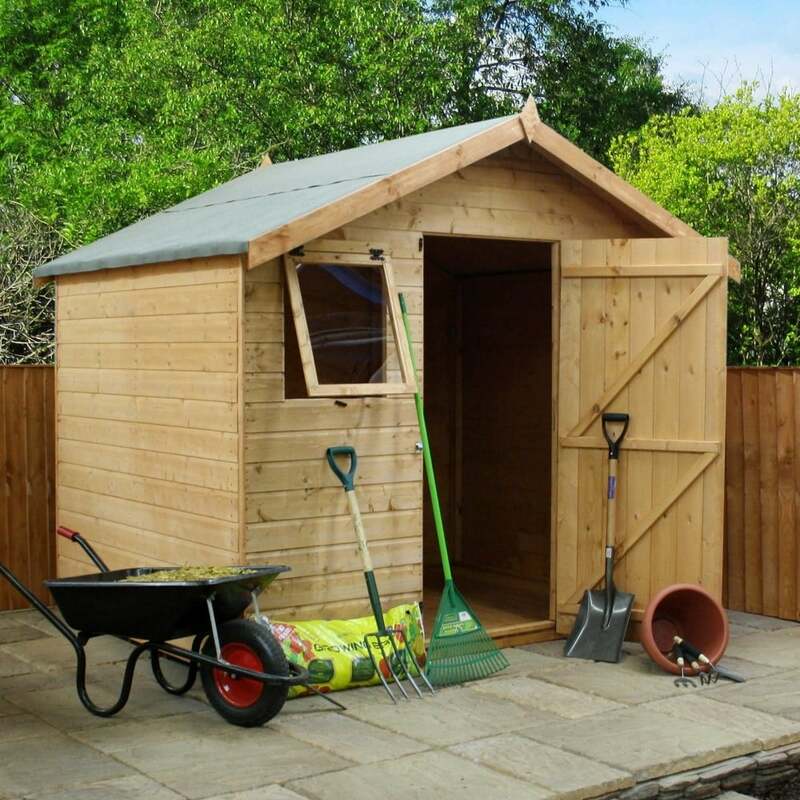 Mercia 6x8 Premium Shiplap Apex Shed Single Door: The Mercia 6 x 8 premium shed is a attractive shiplap design, enables you to store your garden tools, equipment and furniture without compromising all your garden space. The tongue and groove Mercia shed is a high quality building that features thick 44x28mm framework for additional strength to support the garden shed. The 6 x 8 Mercia apex shed includes two fully opening styrene glazed windows on both sides of the door to provide plenty of natural light to filter through the shed. The 6 x 8 Mercia shed also includes 10 year manufacturer’s warranty against rot and is delivered flat packed for easy self assembly.